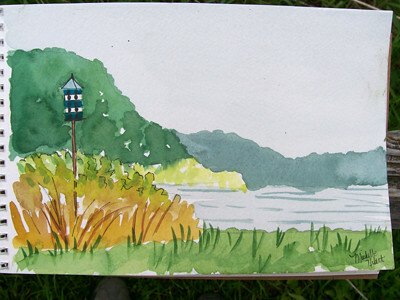 Sketch Class Results May 2011 – Let's Paint Nature! Saturday we woke up to a very threatening sky. Dark and ominous. Ready to unleash buckets of rain? We didn’t know…but we took our chances anyway. And OH BOY I’m glad we did, because the rain held off right up until the end! Whooo Hoooo! Sketch class, here we go! This is the scene we decided to sketch. 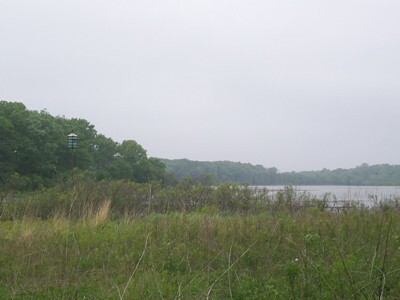 This is Long John Slough facing east. On the left hand side of this photo, you might be able to see the bird house which caught our attention. 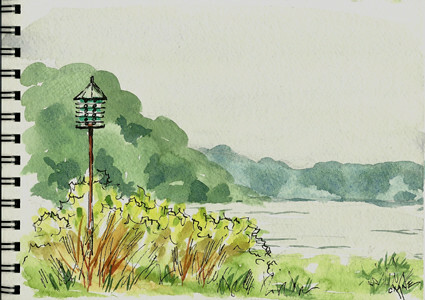 A few birds landed on top of this bird house as we were sketching, however it was too far away to determine which kind of bird. We did recognize a single chorus frog which sang to us for a long, long time and one yelp from a bull frog. I think they enjoyed watching us sketch! The weather didn’t stop these nature artists from doing what they love, sketching nature. Several times we spotted a great blue heron fly back and forth over the slough. It was at this spot also, Michelle pointed out an indigo bunting male chase a female. Wow! What a beautiful blue bird! It was very humid and very grey. Our paper took forever to dry, but we worked with it and our sketches turned out beautiful!!! Behind us in the field, we found shooting stars. Aren’t they amazing! 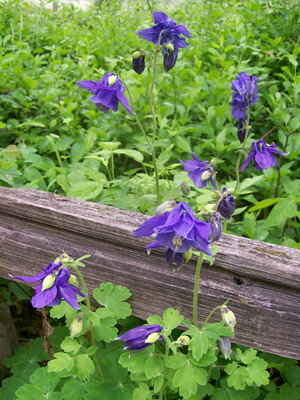 We also spotted columbine growing along the fence. What a brilliant color. Other than that the spring wildflowers have all expired. After our sketch we took a hike on Black Oak Trail and when we finished, it began to rain. We made it. I hope you enjoyed our adventures at the Little Red Schoolhouse and maybe next time you would like to join us? There will be no class in June, but we will resume July 30, 2011. Lovely works–I’m glad the rain held off! As for the shooting stars–fantastic! Lana: Thanks! 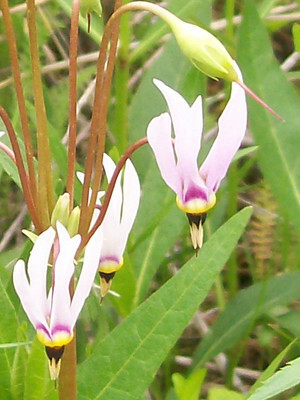 Shooting stars may just be my favorite wildflowers! I’m always taken aback when I find some. Alanna: We missed you too!!!! I’m glad your watercolor workshop was a success! You can teach the class and myself in July all the secrets you learned! 😉 I can’t wait!!! You are very correct when you state to just have fun and learn. I mean, why do it if it is not fun??? That’s why we have work. 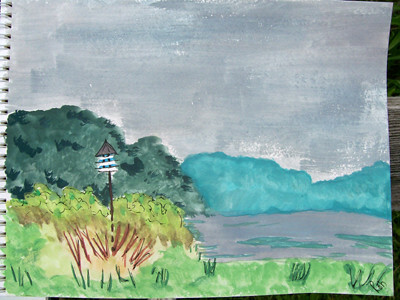 Painting nature is soooooooooo much fun.